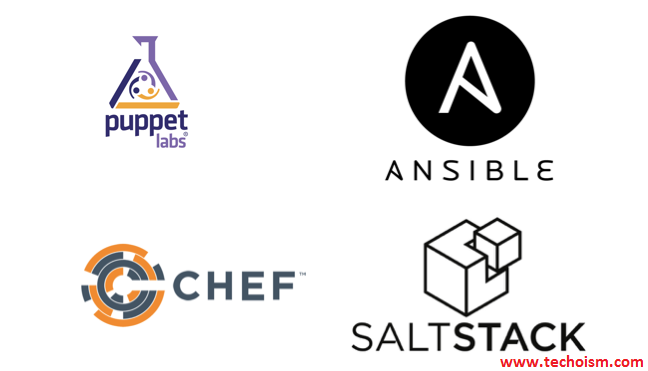 Puppet, Chef, Ansible, and Salt were all built to make it much easier to configure and maintain more than hundred of servers. It’s not mean that smaller companies won’t take benefit of these tools, as automation and orchestration generally make administrator life easier in an infrastructure of any size. All four configuration management tools are designed to reduce the complexity of configuring distributed infrastructure resources, enabling speed, and ensuring reliability and compliance. In this article, I am trying to explore my findings. Dynamic people group support around development tools and cookbooks. Well-established support community through Puppet Labs. Most complete Web UI in this space. Simple installation and initial setup. Powerful, local ability to work with shell-level develops. For more advanced tasks, you will need to use the CLI, which is Ruby-based (meaning you’ll have to understand Ruby). Support for pure-Ruby versions (rather than those using Puppet’s customized DSL) is being scaled back. Because of the DSL and a design that does not focus on simplicity, the Puppet code base can grow large, unwieldy, and hard to pick up for new people in your organization at higher scale. Model-driven approach means less control compared to code-driven approaches. Code-driven approach gives you more control and flexibility over your configurations. It’s not a simple tool, which can lead to large code bases and complicated environments. A free solution is available to get you started. Pricing starts at $72 per node for the standard Hosted Chef and is $137 per node for the top-of-the-range Chef Automate version. SSH-based, so it doesn’t require installing any agents on remote nodes..
Playbook structure is simple and clearly structured. Less powerful than tools based in other programming languages. No consistency between formats of input, output, and config files. Their DSL is feature-rich and isn’t required for logic and states. High scalability and resiliency in the master model with minions and hierarchical tiers. Documentation is not well managed and is challenging to review.